In April of 2016 the FDA approved the first and only therapeutic treatment for progressive Keratoconus and corneal ectasia. This is important as this is the first time in the United States that we have an opportunity to stop the progression these diseases. 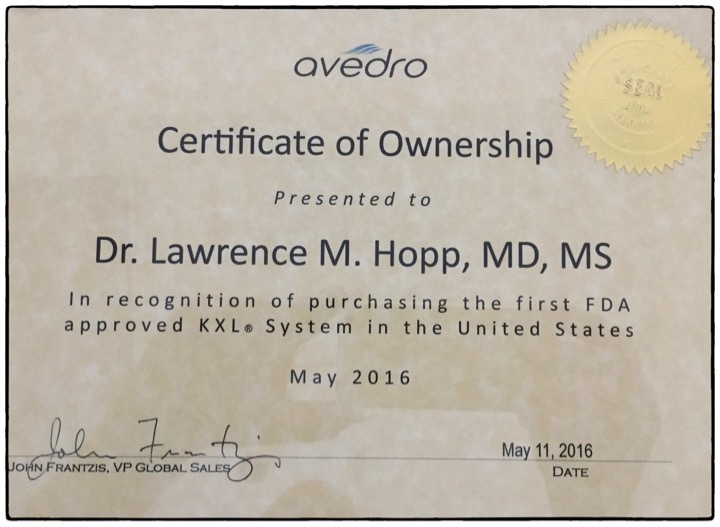 Recognizing this, Dr. Hopp obtained the first FDA approved cross-linking unit and was recognized for this with a certificate from the company, Avedro. Corneal cross-linking is a medical procedure that combines the use of ultra-violet (UV) light and riboflavin (vitamin B2) drops to help stabilize an unstable cornea. In the US it's approved for only corneal ectasia or progressive keratoconus, both of which cause irregular shapes and/or steepening of the cornea that result in blurred vision. The cornea is made of collagen that has fibrils and it's thought that with corneal ectasia and keratoconus the collagen fibrils become more separated. 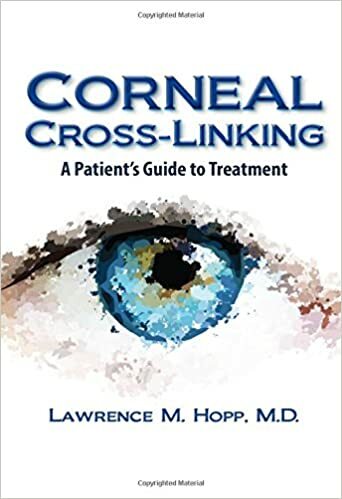 Cross-linking helps to reform the links between the fibrils and stabilize the shape of the cornea as well as stiffen the cornea so that no progressive changes occur. Call our office at 310-275-7848 and ask for Erin if you have been diagnosed with Keratoconus or corneal ectasia and would like to know if this new FDA approved medical treatment is right for you.